Multi-talented fashion designer and a singer Liz Ogumbo will grace Rhythms On Da Runway with other fashion designers like Ophelia Crossland, Aya Morrisson, Pisitis, The House of Adjeiwaah from England, Hats and designs by Velma and Emma Bird Accessories. The South African based Kenyan Fashion Designer and Soul Singer was invited to participate at the fourth edition of the Rhythms On Da Runway, a fashion show being organized by Kofi Okyere Darko of Nineteen57 fashion label. The event, according to the organizer, will take place on Easter Sunday March 31, at the plush Golden Tulip Hotel in Accra. Liz left for the U.S after completing high school, to study Computer Science and eventually graced prestigious runways in NYC, LA, Milano, Paris and back to Africa where she eventually incorporated a modeling agency, Imani Int Model Management in LA in 2004 and later Kenya in 2006. She is a keen fashion designer under her label, House of Imani and author of ‘The modeling industry; who is the ideal model? She wrote this memoir to help build self-esteem amongst young girls emphasizing on self-confidence. 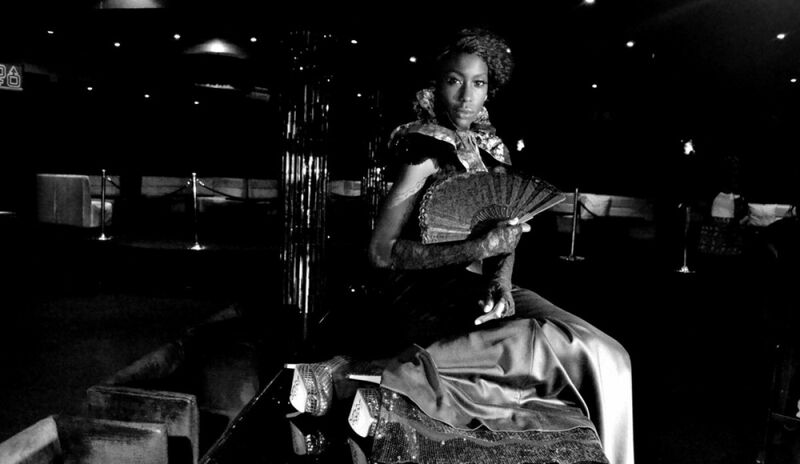 Miss Ogumbo possesses a triple threat to the creative industries; a combination of striking African looks with a sharp sense of fashion and style, her humourous writing and storytelling skill and her smoky sultry vocal ability which puts her in a league of her own as she shares her Ken-soul experience with the world. In the 1920’s black was often reserved for periods of morning but in 1926 Gabrielle Coco Chanel published a picture of a short, simple black dress and changed the perception of black for the morning forever. Later in the 1930s women’s evening wear was best described as bright and shiny, women wore long dresses to emphasize their waist and embellished their dresses with sequins, which in the early 2500BC was used to embellish the clothing of royalty. And finally when I was born in the 70’s, I was brought up in an cultural inspired set-up where the color ‘black’ was associated with sadness and mourning and as a result, I grew up wearing everything colorful except black until I hit my late 20’s and decided to explore black once again. Today, I am celebrating the Black Panthress! Exuding a smooth ebony essence of elegance, this black panthress runs the world in black, so effortlessly while oozing that self-definition and confidence! “less is more; say it in black!